A rare opportunity to be personally coached with specific feedback to be guided to a stable level Awakening where you won’t lose it. The question is how much do you want to be at peace? We are all different. Yet, we all want to be free of mental and emotional stress. What level of freedom do you want? You can Awaken in 4 years or less depending on your frequency of Mentoring and application of the skills set that are clearly laid out in this website! I do make it as plain as I can throughout this website and in the videos and say what many great spiritual teachers say can’t be done This is shared openly to those who are willing to put the effort in. SAY GOOD BYE TO PAIN & SUFFERING of normal humanity and be conscious. The below video (tap the picture) will give you and guide you into this enlightened state. You will then be able to measure and clearly define the words Awakening, Enlightenment, Presence and Stillness. Mentoring will help you live in this place. You will become more awake, in more and more situations and places in your life, if you want. You will have ‘almost’ (it becomes always there as you deepen) instant Peace, Resourcefulness, Stillness of mind when the crap of life happens. Depression and extreme mood swings are a virtually impossible at this level of Awakening that I will guide you to live in. You are able to function and think clearly when people and situations are intense. You have a connection to your body, emotions and thinking in a “space” of stillness, OKness, and maybe Joy, Love, happiness and possibly intense bliss. You know you are not your troubles, drama, worried mind, anguish, anxiety, suffering or pain (physical, mental or emotional). You will know that you will still feel these negative emotions, but you will also have peace and be resourceful while you transform them into wisdom. Then the next time, in the same situation, you will notice how much less you are affected and how much more peace there is at the same time. Watch the video and see how clear it is made – this is the gift mentoring will bring in your life. Tired of emotional drama, mental chatter and being disconnected from your Soul or inner Self? Then Awaken! What is given in these pages, courses and Mentoring is fully ground breaking, over current spiritual literature, thus if you want to Awaken* (Defined here as phase 3: mid non-Abiding Awakening explained more fully here) then it is a real possibility. You can even live in a noticeably more peaceful state on the crappy days [this of course gets stronger as you deepen more as to head to the Abiding phase]. The obvious and measurable question: How many years have you already been on the spiritual quest? Longer than 4 years? 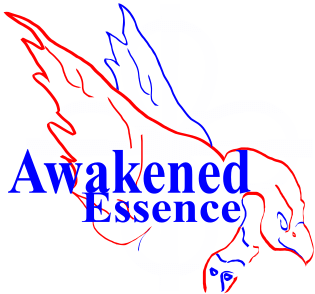 Are you Awakened to at least what I define as phase 3 non-Abiding Awakening? If not, then it is time to change what you do because it is inevitable via the Laws of Grace that awakening is this fast if applied correctly. In fact you do not even need to change your current spiritual practice. This material adds in to every facet of life, including religious or spiritual practices. I can help tailor this to your situation exactly. To say 1 to 4 years to Awaken is a bold statement to make. Yet, I have seen the evidence, and for me it only took 3 years to get to that place of mid-non Abiding Awakening, and another 2 years to enter Full Abiding Awakening. I entered the Abiding Awakening phase late 2007 – well over 11 years ago. Its yours if you want it, and its a rare opportunity to be coached by such a world leading mentor of this field. I don’t subscribe to Guru and discipleship, I am a coach and Mentor only. I am no different to a tennis coach, just I coach Enlightenment for those that want it. What is offered here is super cheap compared to most mentors and coaches. Scholarships at reduced rates or free (in exchange) may be available if money is an issue. Yup! When you know what is required, and what stops it you can literally chart how quickly you can awaken. The Laws of Grace underpin that this is actually a fact. Few spiritual teachers will say this as they will have to back it up. But listen closely even when they say it isn’t ask them how they Awoke! Bet they didn’t do it by reading Facebook and drinking beer while watching sport on TV. All this is revealed here and in the Free Bronze Club videos for you to practice and apply. Mentoring will give you personal feedback edge and “Grace” to take it faster and deeper. Mentoring (what I call Good Company in the laws) is one of the multipliers of the Laws of Grace. Each factor that makes this mathematical equation will either make the journey longer (than this lifetime) or shorter so it happens in a few short years. The maths of it is quite an eye opener and helps you see what is required. But that “doing” is what you will be doing even after you Awaken, just then it will be much easier and pleasant. The simple test: Is this for you? There is a simple question that will let you know if you are serious about this path. The Laws of Grace explain that we always apply what is truly important to us – by our actions only. Actions show where we place our attention, motivation and most importantly our time and money. Everything is optional except your connection to your Divine Source, that is the only thing that is not optional, everything else is optional, everything. Every to do item, every dream you have, every goal, every requirement is optional; except your connection to your Divine Source. That is the most important thing, right? What was your immediate answer you felt? Either you agreed or life’s practicalities were seen as more important. If the connection to the Divine Source, as George Kao put, is it the most important then do consider what resources you apply to it. The resources that you have control over is your attention and time. Everything else is a product of that; money, actions and habitual things you do without thinking. If you answered yes then apply what is in this website and seriously consider one on one coaching / mentoring. Connection to the Divine Source is no longer a mystery, its a product of consciousness applied to it directly. Make contact if you want to discuss. Not many say what I say here – but I’ve seen enough evidence over 25 years to be very precise about this. My own ever expanding Awakening is proof of what we will cover. I’ve seen some succeed in a short period of time, I’ve seen many fail, I’ve even seen some attain then completely lose it. Here is the outcome, clear and definable “Laws of Grace” to guide you home to Stillness and peace. You will only Awaken and have all this “good stuff” in your life if you apply and train your unconscious to operate this way. That means reading and applying what is contained in this website. If you want to Awaken in 2 to 4 years (on average) then Mentoring makes the fully possible if you apply the practice. You will never awaken and have ongoing permanent happiness in your life if you don’t learn how and apply it. My mentoring services are typically shared with people in the UK, EU and USA and limited spaces are available. Suffering and pain is 100% optional. It’s all your choice. What do you really want? Your actions always tell you. Your actions of the poast 6 weeks tell you pretty accurately where your life will be in 10 and 30 years time. Enjoy the website and APPLY what it contains. All those that “made it” to an on-going Awakening did what this site contains.